Thu., Oct. 12, 2017, 11:03 p.m.
SHANGHAI – Juan Martin del Potro advanced to the Shanghai Masters quarterfinals by overcoming third-seeded Alexander Zverev 3-6, 7-6 (5), 6-4 on Thursday. Del Potro required four match points – two on Zverev’s serve in the ninth game, two on his own serve in the 10th – to win this first encounter career against the German. 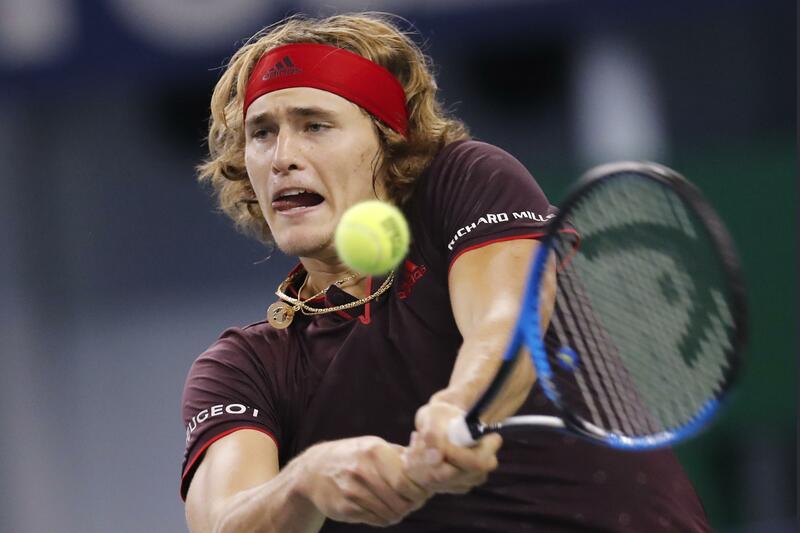 Zverev, who was in the hunt for a sixth ATP title of the season, lost his composure after netting a backhand to surrender his serve in the fifth game of the third set to the Argentine. Zverev whacked his racket on the court. That didn’t satisfy his anger so he kept smashing the racket courtside until it was a mangled mess. Del Potro, a 2013 Shanghai finalist, was aware he made a likely permanent impact by breaking Zverev’s serve. Earlier, sixth-seeded Grigor Dimitrov of Bulgaria got past Sam Querrey of the U.S. 6-3, 7-6 (3) in the round of 16. Fourth-seeded Marin Cilic defeated another American, Steve Johnson, 7-6 (1), 6-4. Published: Oct. 12, 2017, 11:03 p.m.